Need a porta potty for an event? Call us! Are you looking for septic tank pumping or septic tank cleaning service? Perhaps you are looking for porta potty service at your outdoor event. Call the professionals for all your septic tank needs. 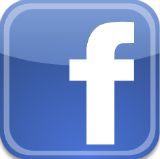 We provide the most reliable porta potty and other portable toilet needs to the Warren, PA area. Grant Septic provides Warren County and Surrounding areas and Lower Chautauqua County with clean, punctual and professional septic tank cleaning & pumping service. In addition to septic service, we also can provide porta potty service. Grant Septic has been serving the local area since 1995 with quality service for all your septic tank needs. We've encountered many challenging projects and have consistently proven our expertise with our efficient and effective waste management solutions. Regular septic tank pumping is essential to ensure that a well-functioning system remains at its fullest operating potential. As a septic system is used, solids accumulate in the treatment tank while water passes through to the leach field. As sludge and scum layers accumulate in the tank over time, the solids have less settling capacity and breach the water portion of the tank. As a result, solids will begin escaping directly into the absorption field. This inevitable process may likely clog the distribution lines to the absorption area, thus creating serious, expensive, and often irreversible problems. To prevent this from occurring, it is recommended that tanks be serviced approximately every 2-3 years depending on a number of factors including tank size and the number of occupants in a home. Grant Septic also can install septic tank risers and covers to gain easier access for all your service needs and to help avoid unwanted service issues. Let us here at Grant Septic protect your system. Without the proper materials and protection, your system can get outside elements into the tank causing an in-balance and your system not to operate at full potential. It can also cause expensive repairs. Get your riser today from Grant Septic. What makes us different from our competitors? Our experience. We have many years of skill and knowledge under our belts enabling us to address all of your septic tank service needs. We are licensed and insured, offering expert service at reasonable rates. 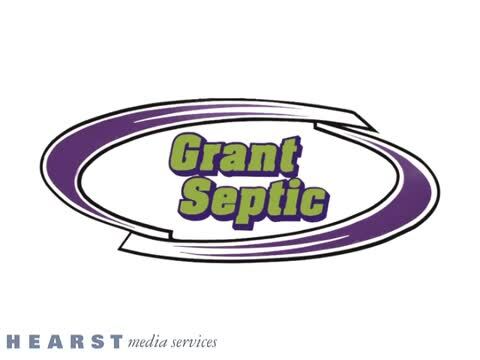 So, if you’re searching for a company that is qualified to perform safe and effective service on your residential or commercial septic system, you can trust Grant Septic. We have an excellent reputation for the quality of our service. Whether you're looking for septic tank pumping or septic tank cleaning, we look forward to providing you with quality service. Call us today at (814) 757-9543 for more information. Grant Septic provides Warren County and Surrounding Areas including Lower Chautauqua County including Warren, PA with clean and professionally styled portable toilets and portable sink rentals. Grant Septic has been serving the local area with quality service for all your events and special occasions for years. At Grant Septic we carry a full line of products to satisfy any of your special or unique needs including “Porta Potty” and portable units for any occasion or event. They have units which are standard or handicapped accessible units for your special get-together, whether large or small. Graduation parties, family reunions, golfing events or any type of large event where a temporary solution is needed to help with your needs. For all your porta potty and other portable toilet needs, give us a call today. Septic Tank Cleaning, Septic Pumping Service, Porta Potty Service, Waste Management Solutions, Install Septic Tank Risers, Septic Tank Covers, Residential Septic System, Commercial Septic Systems, Portable Toilets, Portable Sink Rentals, Porta Potty Retails For Graduation Parties, Family Reunions, Golfing Events Or Any Type Of Large Event, Septic Tank Cleaning, Septic Tank Pumping, Septic Tank Maintenance, Septic Tank Repair, Portable Sink, Short Term And Long Rentals Are Available.